Scheduling is an essential part of managing any project. It is the reason for the success of the project itself and can help identify the duration of the whole project as well as the various milestones that are put in place. The project schedule acts like a map that helps you manage each piece of the project in a timely and logical order based on specific outcomes. Without a properly prepared project schedule, no project can be expected to be completed on time or within budget. No matter how grand or how small your project may be, it is very important that you include the schedule as part of the project planning phase. It tells you when something is completed, what has already been done, and in which order certain tasks must be undertaken. An experienced project scheduling manager must be concerned with every aspect of the project. The schedule is the foundational tool for all project managers. Once the managers know the importance of the schedule, then they able to better control their projects and implement the areas, phases, and resources accordingly. You must know the availability of your project team members so that you can integrate this in your scheduling plan. Also, knowing the availability of your team members can help you identify the duration of the project and who should be assigned each task. Having plotted a schedule without knowing the availability of your team members can cause a lot of stress and adjustments would have to be made. This could result in the delay or failure of your project as a whole. As a matter of fact, knowing the availability of your team members is absolutely critical to all project scheduling. Scheduling a project based on tasks can cause a lot of problems. It is, therefore, more advisable that the schedule should revolve around the deliverables. Meaning, the schedule is dependent on the dates of the deliverables, which act as deadlines for the completion of tasks comprising each phase. Project managers should plot a schedule on deliverables since these are tangible and verifiable. As a result, you are sure that you would be able to complete the task or make the delivery. Milestones are also an essential aspect of any project as they signify important events or mark an end of a task. It can also identify how far you are in the project plan. It serves as a checkpoint to make sure that you are on the right path and all resources are in place. Do know that plotting schedules require only estimates. They act only as guides in finishing your projects on time. Unfortunately, there are circumstances that are beyond our control. Thus, it is always best to have a backup plan and to have enough time in case the schedule might really change. This will create leads and lags which are a part of every type of project. People get sick, machinery breaks down and contractors are not always able to supply labour as planned. So any experienced project manager should build a project well knowing that a project is like an organic being that will change over time. Applying these five simple tips in scheduling your project should help in improve the success of your project. Project management is the act of doing a step-by-step process in order to manage and produce a project that is successful, on time and within budget. According to the Project Management Institute (PMI), project management therefore is the “application of knowledge, skills and techniques to execute projects effectively and efficiently. The organization has developed a book solely dedicated to giving the project management professionals a guide to a successful and standardized project. Fortunately, these steps can be summed up into five simple steps: planning, budgeting, execution, monitoring and control, and closure. Not just in project management, planning is considered to be the most important step in achieving a goal. Planning includes the courses to take or the step-by-step moves to execute in order to come up with the desired results. All other processes involved in project management should be included in the planning phase. It has often been tested and proven that a good project is a result of a good planning. Budgeting comes next in the list of important aspects to consider in project management. In this phase, the materials and cost of the overall project is taken into account, making sure that it would meet the budget allotted for the said project without compromising the quality of the overall project itself. The third process in an effective project management is the execution. Once all aspects of planning have been taken into consideration, it is now time for the execution of all of the steps involved. Execution is the most crucial step when it comes to project management as this step would define if the project is a success or otherwise. Monitoring and control is an aspect often overlooked in project management. However, this should not be the case as monitor and control is the longest-running phase in project management. This should start from when the planning phase of the project management to ensure that everything that is covered during planning will meet the project objectives and goals as well as double check that everything else is executed according to plan, such as the costs, resources, and duration. In other words, monitor and control should check the quality and quantity of the project and ensure that everything is on track. Closure is the last step in project management. This is where the project team would decide based on the outcomes of the other phases of the project management if the project was a success, a failure, or otherwise. This is also where the team members would discuss several points for improvement and other observations recorded during the whole duration of the project. Thus, closure is also a very important phase in project management as this would help make future projects even better than the recent one, with lessons to apply such as the do’s and don’ts in implementing a project. Managing projects effectively is never an easy job, but if you keep these five important aspects in mind, you are better equipped to have a successful project that not only benefits you and the company but also the audience or the consumers who patronize your projects. Eastwood Harris produces project management training materials and online training courses on Primavera P6, MS Project, PMBOK and Prince2. For any endeavour to succeed there must be a solid foundation upon which it is based. However, in the case of project management, there is little research focusing on its basic principles. Without theoretical conclusions and evidence generated by research, project management can be a big inconvenient hassle and the success of that project may be questionable. This particular issue has been tackled by R. Max Wideman in his work, which is entitled ‘First Principles of Project Management’. In his paper, he defines the difference between project management practices and project management principles. He has also proposed seven principles of project management. The end goal of a project should be more than just finishing timely and without going over budget. When undertaking any sort of project, you should always aim for the success of your product. Success is hard to measure without any concrete terms. Therefore, before starting a project, you and your team must come up with key deliverables that can indicate success. This could include the scope, quality, relevance and so on. The sponsor and the team must be mutually committed to the project before it comes into existence. There must be an acceptable level of commitment. This means that an agreement exists between the two parties regarding the goals, scope, quality, time frame and the cost of the project. This principle simply means that scope, quality, time, and cost must be achievable and they must exist in a balanced state for a project to succeed. One cannot be changed without affecting the others. The implications for the project manager include regular checks of the four pillars to make sure that they are working together. This means that the project must be governed through a single communication channel. Although the owner can be represented by several individuals, it is a must that he or she must speak with a single voice. This is the same for the team. One person must be the sole point of responsibility. This person should have the attributes necessary for a successful project. The method of management must match the type of project and the current status of the project. The team must be managed in a way that enables and empowers them. This makes it possible for the team to do their best jobs. For any project to succeed, procedures and policies must be clearly stated and documented. This also means very detailed planning, which usually leads to policy development. The roles, responsibilities and delegations must be included in policies. These policies serve as guides throughout the lifespan of the project. This principle entails the planning and the implementation phases of the project. Fundamentally, planning comes before implementation. This ensures a clear path and determines significant milestones in the project. By carrying out this principle, you can easily determine when your project starts and when it should end. 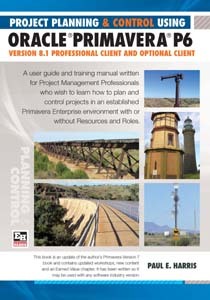 Eastwood Harris Supplies Project Management Training Manuals, Project Management Training Presentations and Consulting on Primavera P6 and Microsoft Project 2010 across Australia. PRINCE2 is a project management methodology that was developed in the UK. This methodology defines the type of plans that a project team should consider. Stages in PRINCE2 are defined as time-bound periods of a project, which do not overlap in time and are referred to as Management Stages. The end of a Stage may signify a major event, such as signing a major contract. Project Phases may overlap in time, but Stages do not. 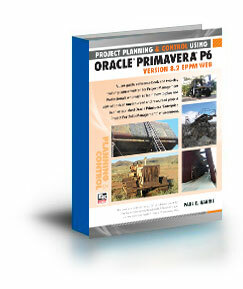 Under PRINCE2 a Project Plan is divided into Stages and a Stage plan is detailed out prior to its commencement. Team Plan – which is optional and would be used on larger projects where Teams deliver Products that require detailed planning. A typical example is a contractor’s plan, which would be submitted during the bid process. As the level increases, the amount of information required to maintain the schedule will increase and, more importantly, your skill and knowledge in using the software will increase. 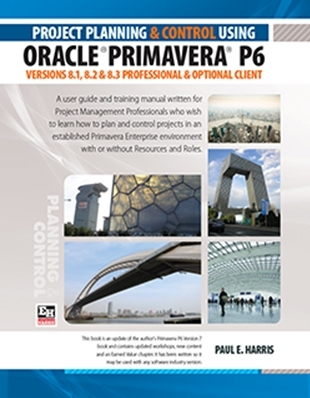 Primavera is an Enterprise Project Management software package that enables many projects to be managed in one database. These projects may be summarized under a hierarchical structure titled the Enterprise Project Structure (EPS). This function is similar to summarizing activities of a project under a Work Breakdown Structure (WBS). To manage user access to projects within the database. To manage activities over multiple projects that have a common interest, such as a critical resource. Top-down budgeting of projects and resources that may later be compared to the bottom-up or detailed project estimates. To allow standardized reporting of all projects in the database. Primavera has a function titled Portfolios that enables a limited number of projects to be viewed at a time. For example, Portfolio would enable you to view projects in a physical area, or of a specific type or client.